The investigation into the Hoboken train crash that left one person dead and at least 100 more injured is still ongoing, but one key piece of information has been confirmed: The train lacked automatic brakes. And while that may sound like a major revelation, there are a number of train lines that do not have such equipment. So, what trains actually have automatic brakes? As it turns out, a number of commuter lines, such as the Canadian Pacific Railway and Long Island Rail Road, are working to have automatic brakes installed by 2018, the congressional deadline that was set for installing the break controls. The deadline was set after the deadly 2015 Amtrak crash in Philadelphia that left eight people dead and 200 more injured. Investigators for the National Transportation Safety Board said that the use of automatic brakes, or a Positive Train Control with a speed limit of 50 miles per hour, could have prevented the crash when the train hit a curve at 106 miles per hour. Other railroads, including CSX Transportation, Norfolk Southern, and Massachusetts Bay Transit Authority will likely have the technological update by 2020, but require permission from the secretary of transportation for the extension. And in the wake of the recent NJ Transit accident, more discussion on the importance of automatic break controls is likely to ensue. 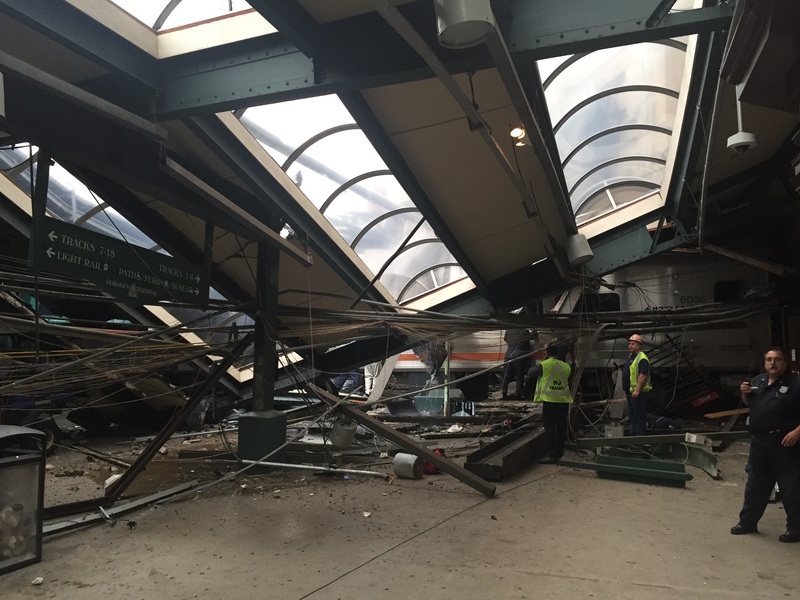 Witnesses say the train was going too quickly when it pulled into the Hoboken station just before 9 a.m. ET on Thursday. The speed limit for trains entering the station at Hoboken is 10 miles per hour, and it reduces to 5 miles per hour near the station platforms. Nancy Bido, who was a passenger on the train when it crashed, explained the crash to WNBC-TV. "It just never stopped," she claimed. "It was going really fast and the terminal was basically the brake for the train." Bella Dinh-Zarr, vice chairman of the National Transportation Safety Board, said investigators will look into whether automatic breaking could have prevented the accident. "We know that it can prevent accidents," Dinh-Zarr said. "Whether it is involved in this accident, that is definitely one of the things that we will look at carefully." As the investigation is still ongoing, both New Jersey Gov. Chris Christie and New York Gov. Andrew Cuomo have said that all details must be reviewed before any cause of the crash is confirmed. “The positive train control system no doubt can be a benefit, depending on the circumstances,” Cuomo said. “Before we start to prescribe what could be a solution, you really have to define the problem." A crash in the same New Jersey train station occurred five years ago, when a train overran the Hoboken stop.